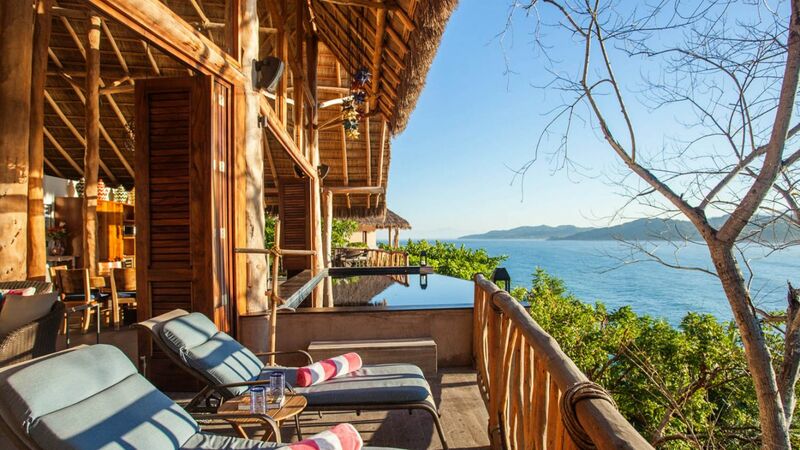 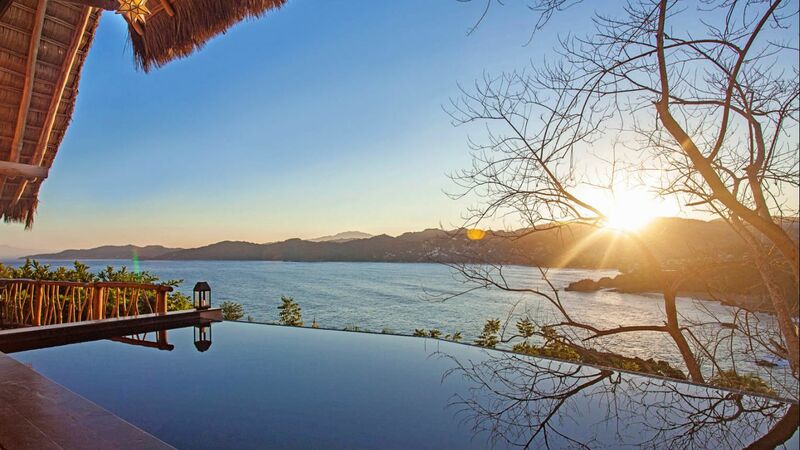 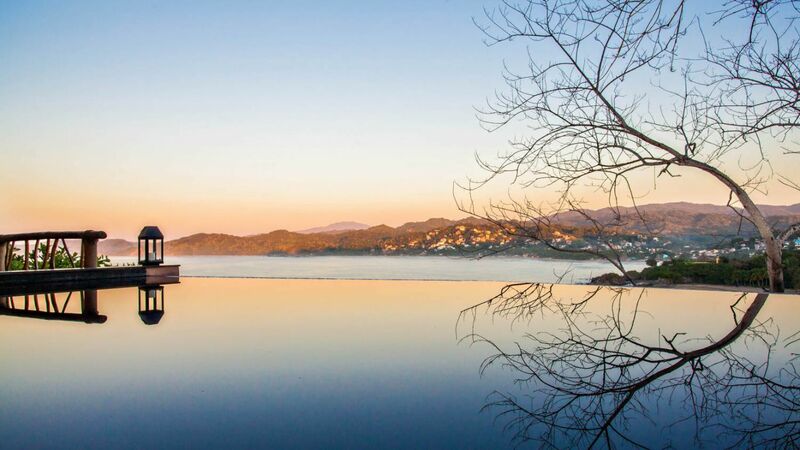 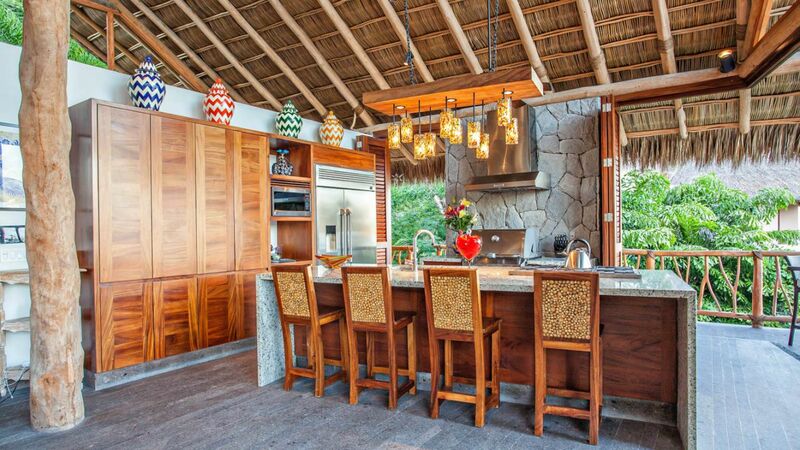 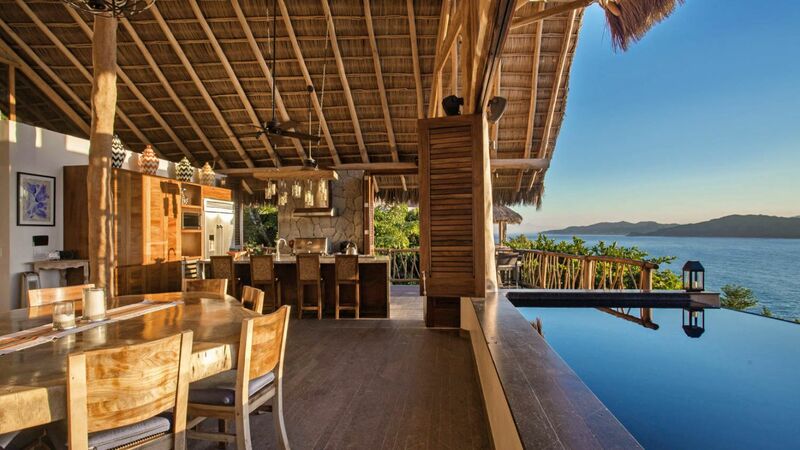 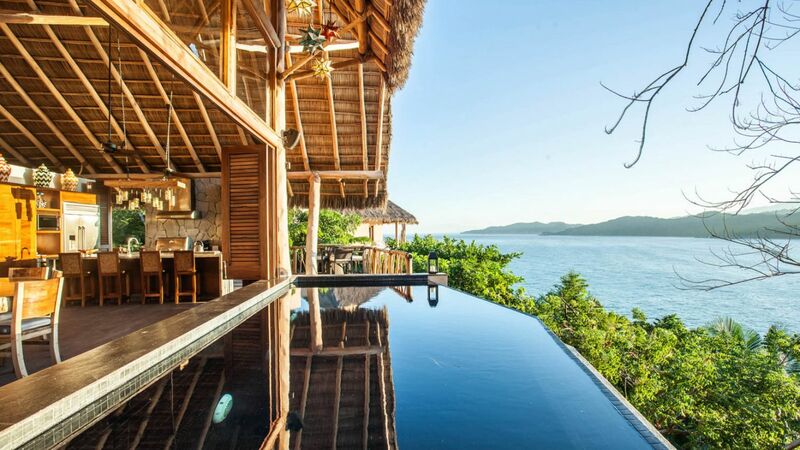 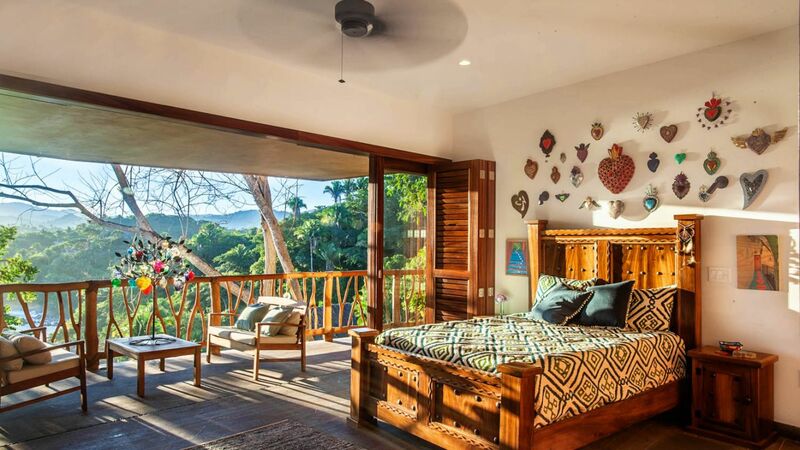 Villa Orlina is a magnificent boho-chic estate home located in the exclusive Punta Sayulita community. 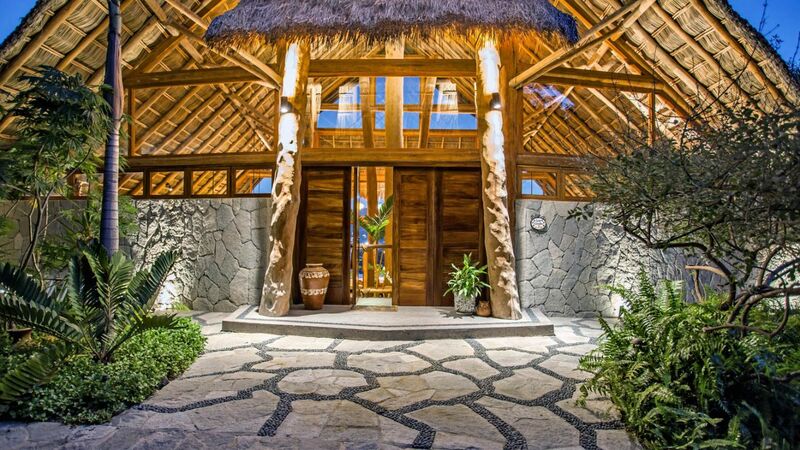 Inspired by the Treehouse by world famous de Reus Architects, this home is a one of a kind masterpiece. 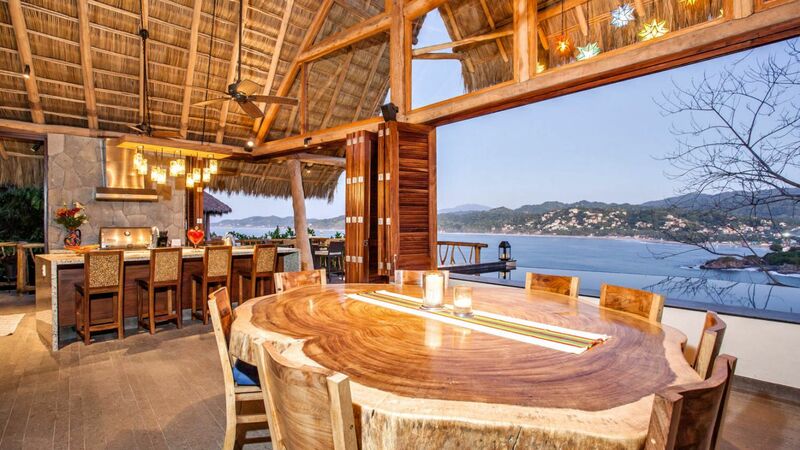 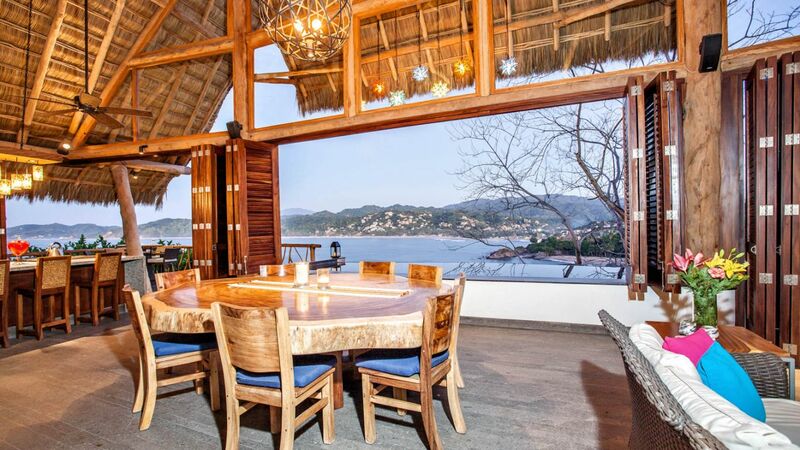 This home showcases ocean views with the ever-changing setting of Sayulita village in the background. 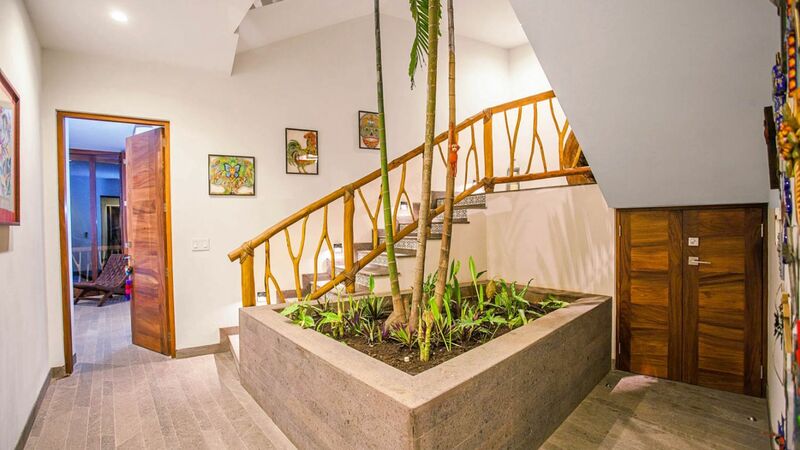 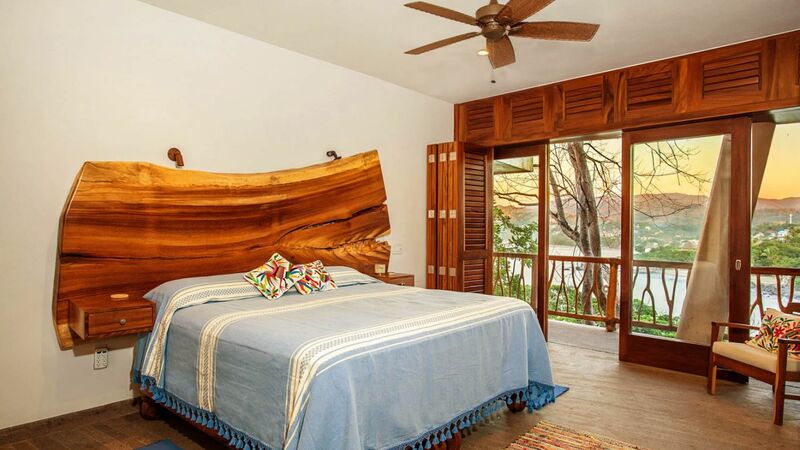 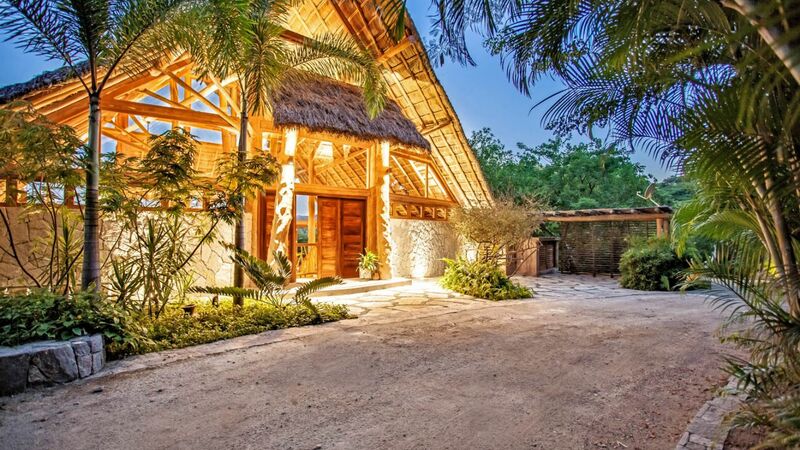 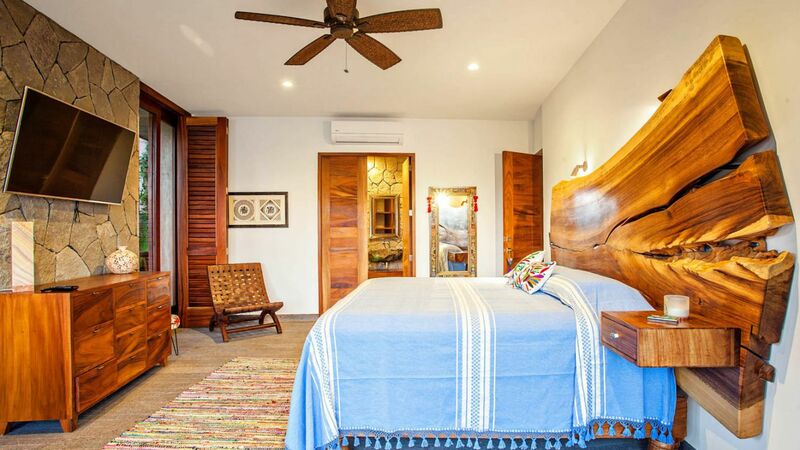 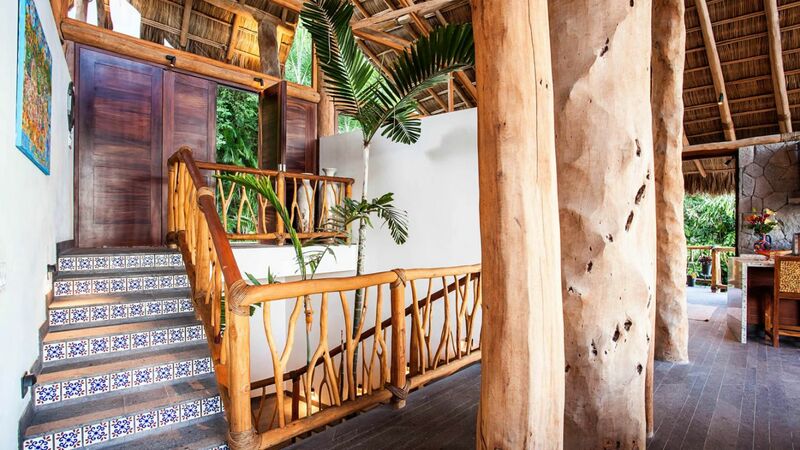 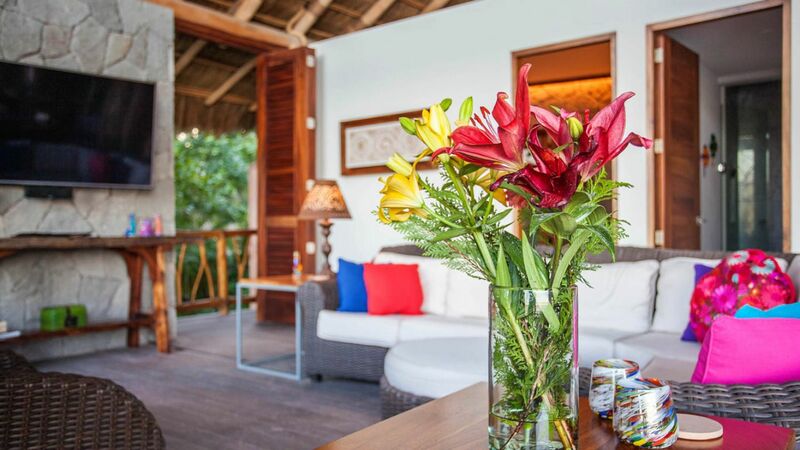 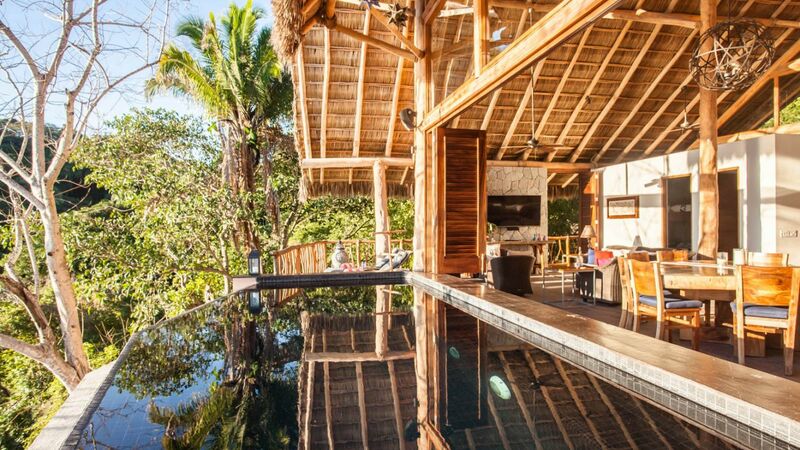 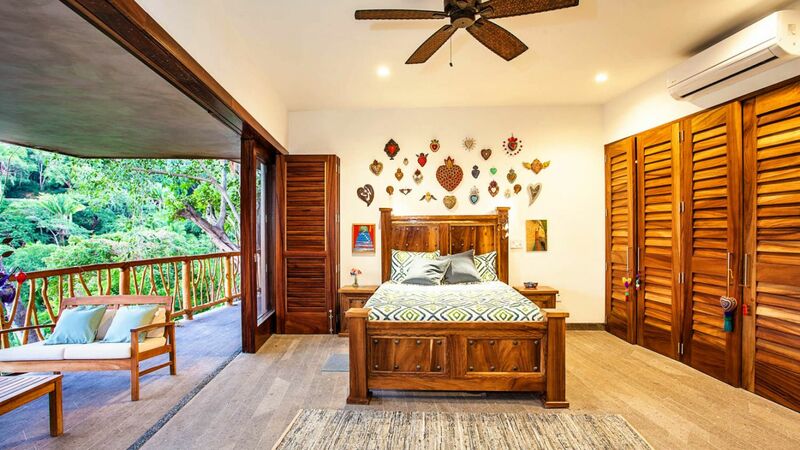 As you enter the home you are greeted by three magnificent zapote tree trunks that tower to the apex of the palapa that gives this home its distinctive character. 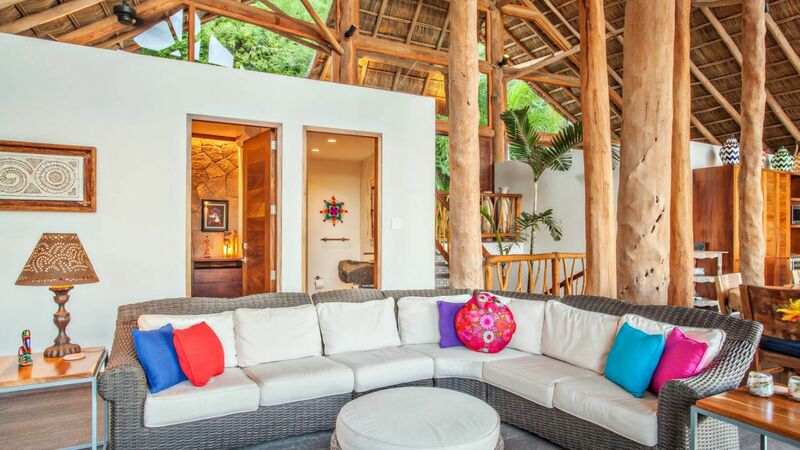 You have arrived in paradise, the main floor is made up of four cool spaces: Living Room, Dining Room, Kitchen and Pool Area all blended into an expansive open concept and surrounded with an outdoor terrace. 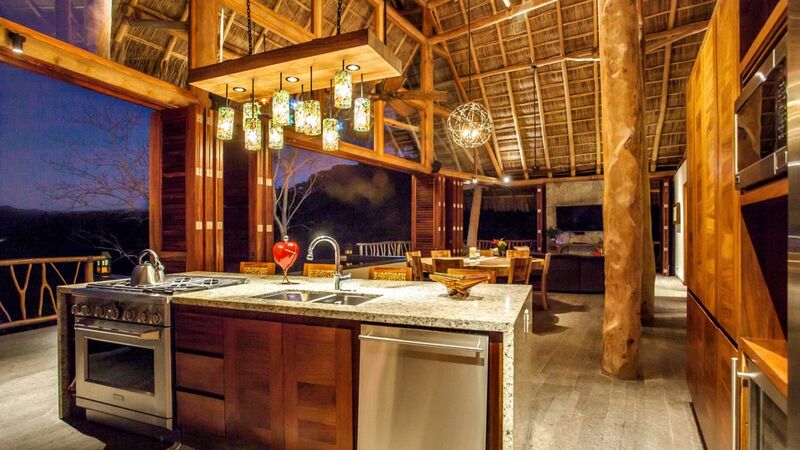 The kitchen area is generously equipment with modern high-end appliances to ensure your cooking events and private chef experiences are memorable. 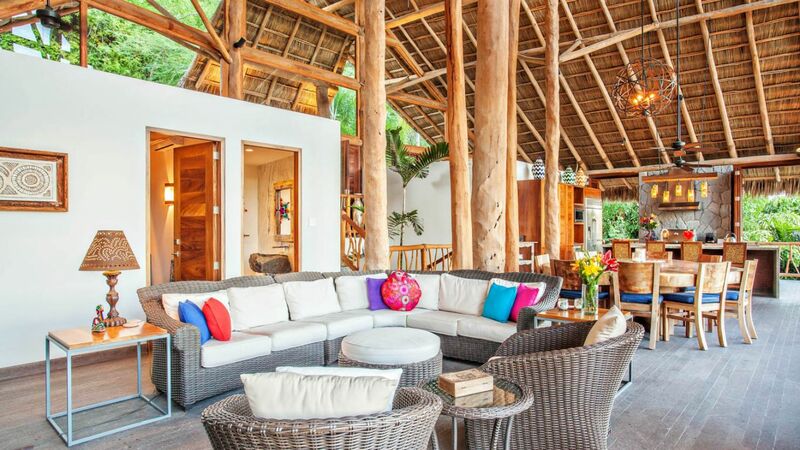 Enjoy a cool margarita on the deck and grill up some fresh mahi mahi on the grill, Casa Ocho Estrellas is all about relaxed fun and stimulation for your senses. 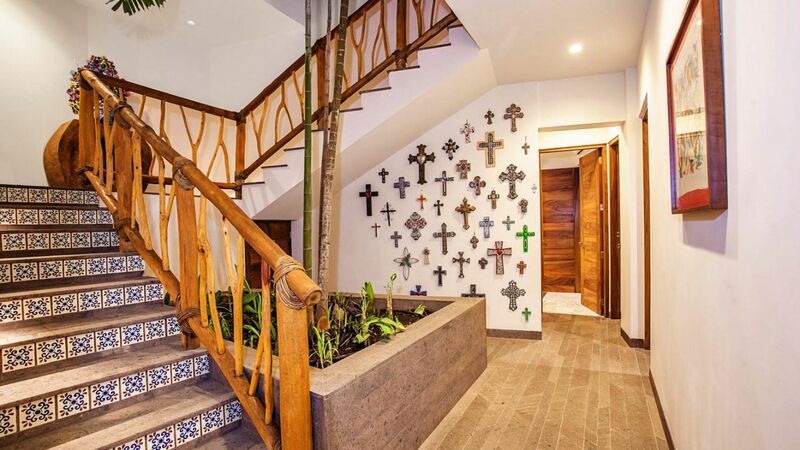 As you decent another flight of stairs you are taken to the lower bedroom areas, all three bedrooms are tastefully decorated and include authentic Mexican artwork and fine finishes. 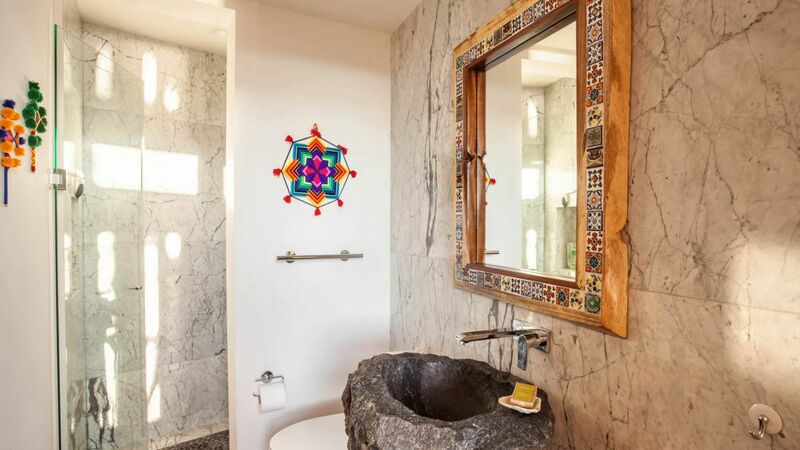 The bathrooms are covered in slabs of marble with floating one of a kind handmade sinks inspired by the Aztec molcajetes. 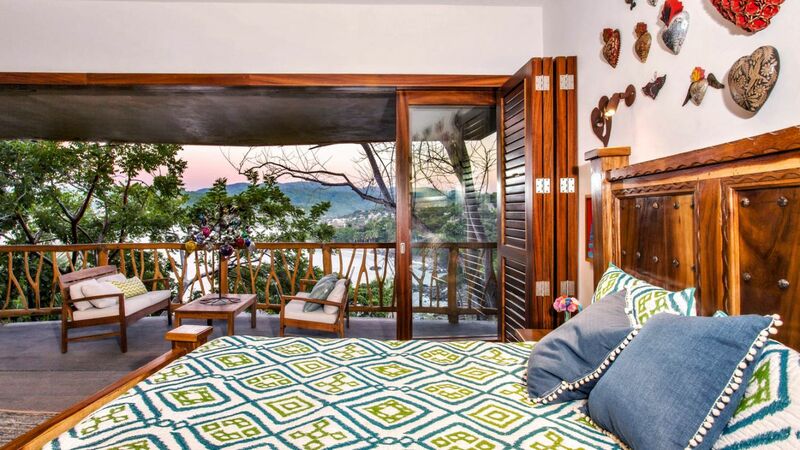 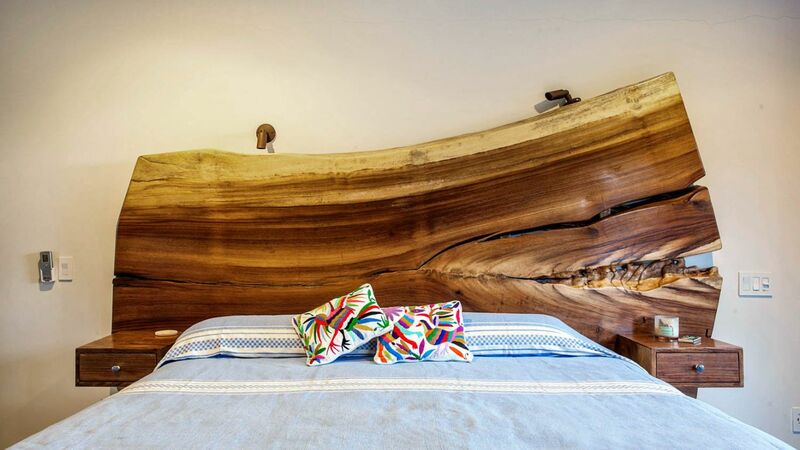 Each of the lower bedrooms face east over the ocean towards the village creating a romantic light show of Sayulita’s twinkling night lights. 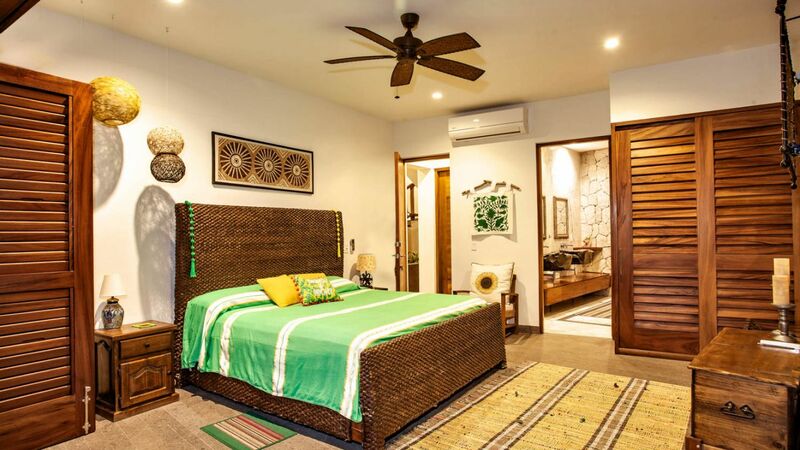 There is also a fourth bedroom on the upper main floor to ensure your party is comfortable. 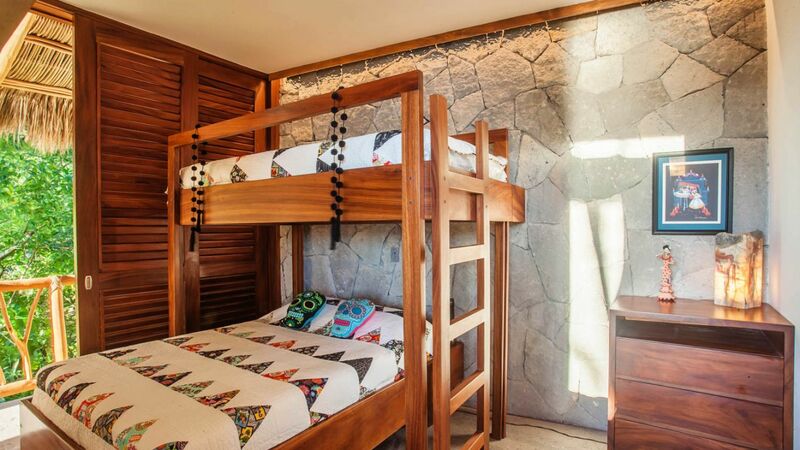 All of the bedrooms have air conditioning and quality linens. 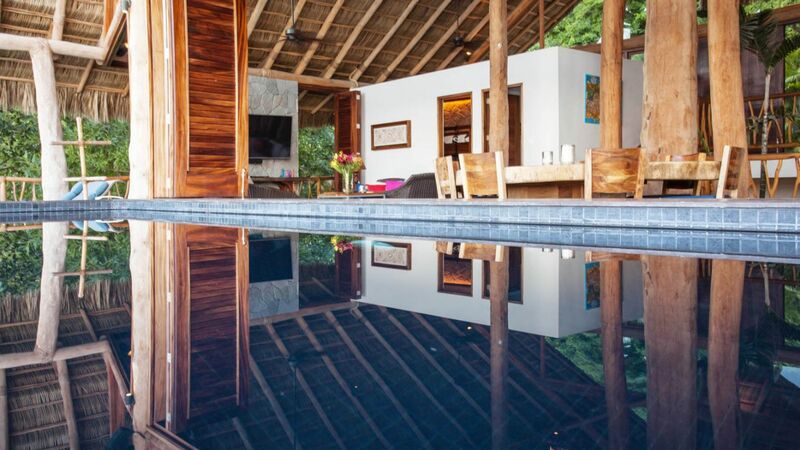 The heated pool is on the front facade of the home and is cantilevered forward, as a true centerpiece of the home.